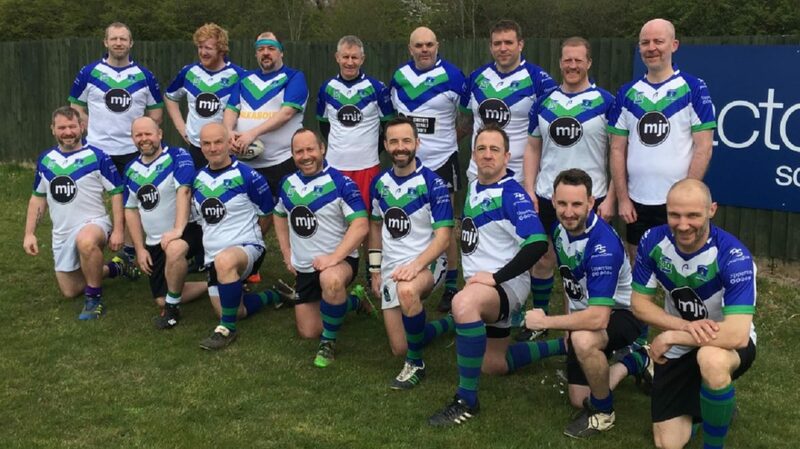 Nottingham Outlaws launched their new Masters section at Lenton Lane on Sunday, as they hosted NEW Ravens Masters. Several all-time Outlaws legends laced up the boots for the first time in years, with Captain Nick Robb playing his first game of rugby league in 26 years since an anterior cruciate ligament injury curtailed his playing career. The game involved lots of free-flowing rugby league action from both teams, and was played in a terrific spirit throughout. Outlaws’ Coach Andy Shaw was delighted with the afternoon, commenting “it went really well today, with everyone enjoying themselves and wanting to play again, and it was great to see some club legends of yesteryear putting on the Outlaws colours once again. “Huge thanks need to go out to Paul for officiating today and getting us all clued up with the rules, and also to NEW Ravens for being brilliant opponents for our first ever game. Masters players can access the Outlaws weekly social Touch Rugby sessions every Wednesday at Lenton Lane, at a cost of just £4 per session, or free to club members.